If we are thinking this is our time to live a life free from worry, conflict, resistance, tension, fear and uncertainty, we may want to be radically truthful with ourselves and look under the surface, uncover what is the cause of these difficulties. The underlying emotional condition that is preventing us from letting go of the heavy chains that are keeping us anchored to unforgiving memories of our life story. This condition will cause us to refuse to bring healing to the wounded parts of us. The essence of this refusal is resistance to what we don’t want and attracting more of whatever we are resisting. This will cost us a great deal and manifesting our personal goals becomes next to impossible. That is, we cannot experience wholeness, reclaim our inner territory and experience inner peace when we choose not to bring healing to the wounded parts of us. We will become spiritually stagnant as we find ourselves in a place where we are not living our authentic lives in the full, passionate expression of our heart’s desire. The world is a place of opposites and competing tensions, these forces are not a power over us. The interpersonal difficulties are dynamic energies within which we can move authentically and appropriately, so long as spiritual beings, we examine how we choose to interpret our life experience. This will require for us to have a renewed attitude, purpose and being. An attitude that will help us with a new experience of a deeper healing before we can rewrite our new and more inspiring story for our brand-new life. Only then we can construct unshakable footing that supports us to create an extraordinary life and achieve extraordinary results in a meaningful and lasting way. An attitude that calls for a radical forgiveness. A forgiveness that begins within, by realizing that we are only humans. Forgiving others by realizing that they are only humans. This is the tender realm of radical forgiveness. It cannot happen unless we are willing to let courage, discipline, decisive, defiance and perseverance cheer our course and bring them into our experience proportionally to their occupancy of our thoughts. Open our heart and do the work to free ourselves from the emotional pain, from the conflict, from the interpersonal difficulties, from the resistance, from the tension, from the pain and from the resentment once and for all. Stop reliving past events which ultimately block our future progress. Practice radical forgiveness on a daily basis and make a place for compassion. I would love to say that radical forgiveness is simple and easy to do. It may be simple, but it is not easy. To enhance our capacity to radically forgive, we need to remember when learning to forgive, make sure we acknowledge our feelings and emotions. But also own up to any part we have played in allowing it to happen or continue. Make sure to express whatever it was that we wanted from that person, and then see the whole event from the other person's point of view. There must also be a conscious effort to take the time to experience true, heart-felt forgiveness in order to eliminate the dysfunctional thought patterns to diminish the power the ego has been using to control us. 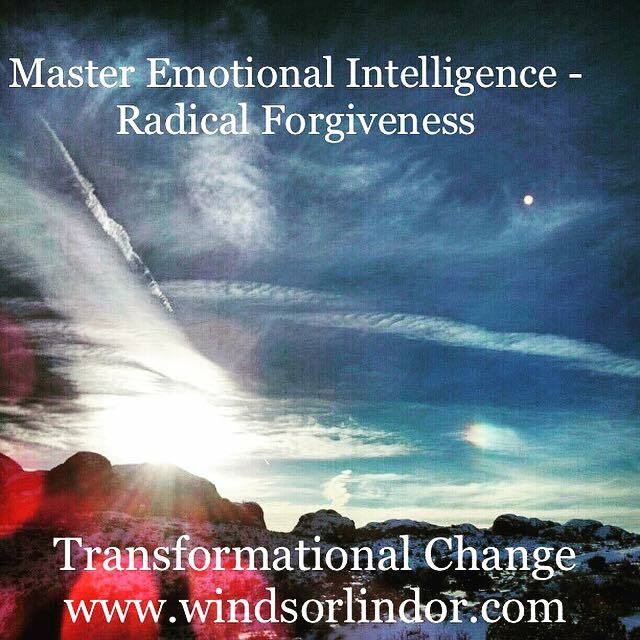 Radical forgiveness is one of the qualities of the self-possessed and it eliminates the energy patterns that keep guilt, shame and fear from remaining the dominating force in our entire being. Radical forgiveness cannot be bought. It does not come prepackaged from a set of religious beliefs. It takes a lot of courage to enhance our capacity to radically forgive and it involves seizing the moment to move into the present, choosing to free ourselves from our unresolved emotions and quenching our thirst for a life of fulfillment and prosperity. Let us also gain vital insights into seeking a new course where commitment and purposeful action can transport us out of ourselves and experience true heart-felt forgiveness that will lead us from grief, regrets and resentment into emotional intelligence attributes and allow the release of forgiveness to flow through our mind and body. Then as we stand or walk, sit or lie down, as long as we are breathing, we strive for this with a one-pointed mind, radical forgiveness, self-acceptance, loving kindness and inner peace, our life will bring heaven to earth.